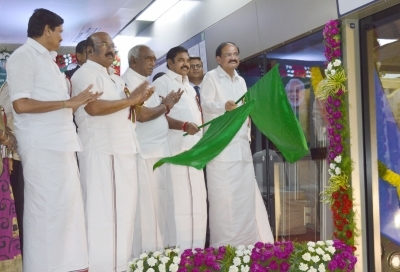 Chennai, May 14 (IANS) Metro rail service between Thirumangalam to Nehru Park in the Tamil Nadu capital was inaugurated on Sunday by Union Minister for Urban Development M. Venkaiah Naidu. The over 7-km sub-terrainean stretch will have seven stations. 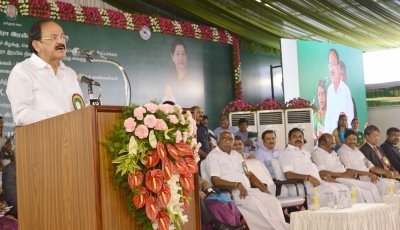 The first stretch between Alandur and Koyambedu was completed in June 2015 and the second between Chennai Airport and Little Mount in September 2016. Both these stretches are overground. The new Metro route is expected to serve more than 20,000 commuters daily, with the fares set to be capped at Rs 70. Chennai Metro Rail Project Director Rajeev Narayan Dwivedi said that all stages of the project are scheduled to be completed in 2018.